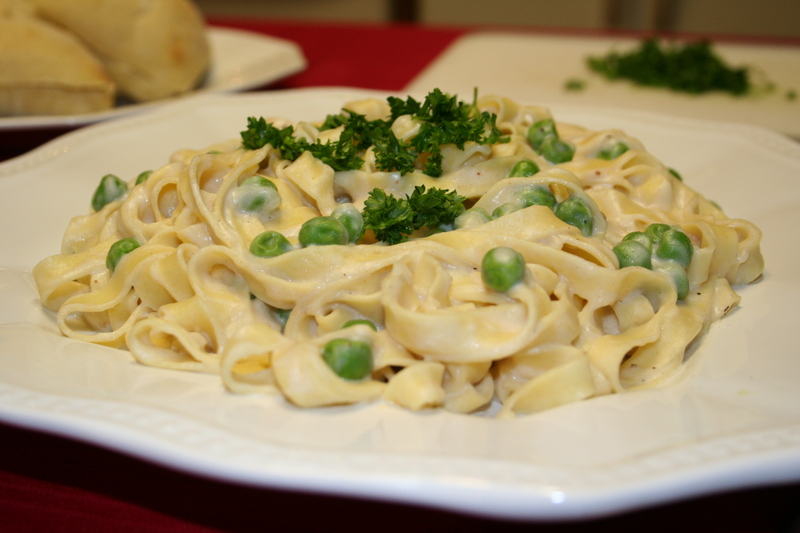 Every once in a while I like to get my Fettuccine Alfredo fix. I very rarely order it when my husband and I eat out in restaurants because I know the regular variety is loaded with calories and fat, so this recipe is a great solution. Not only is it delicious, it is also relatively low in fat since I make it with low fat or no fat ingredients. It doesn’t have to have a lot of heavy cream and high-fat cheese to be delicious. This is a nicely balanced option. I hope you enjoy it! My little kittens–Alex and Ashlee are continuing to grow like weeds! I can’t believe how big they are getting. So I thought I’d share a few baby-pics while I still can. 🙂 You’ll find them here. 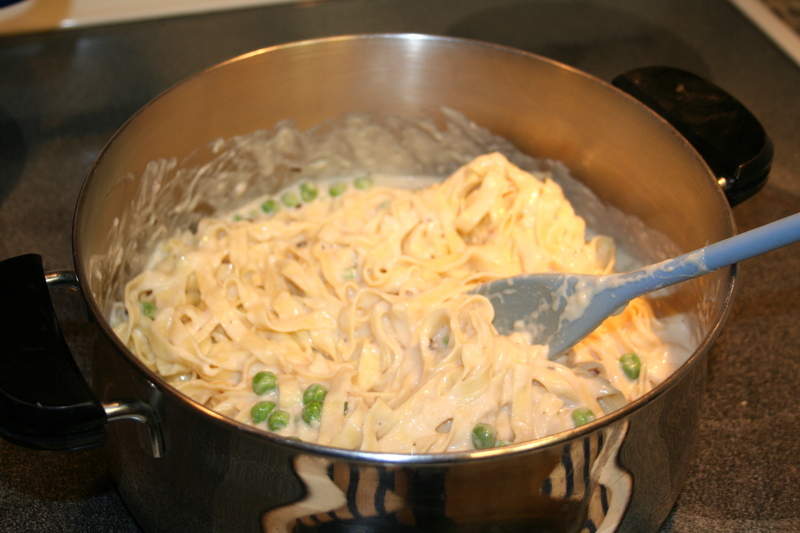 Adapted from the Looneyspoons recipe for Eenie Meenie Fettuccine. Melt butter on medium heat and saute the garlic for approx 1 minute. Mix the milk and flour together in a small bowl until they are smooth and then add to the garlic and butter. 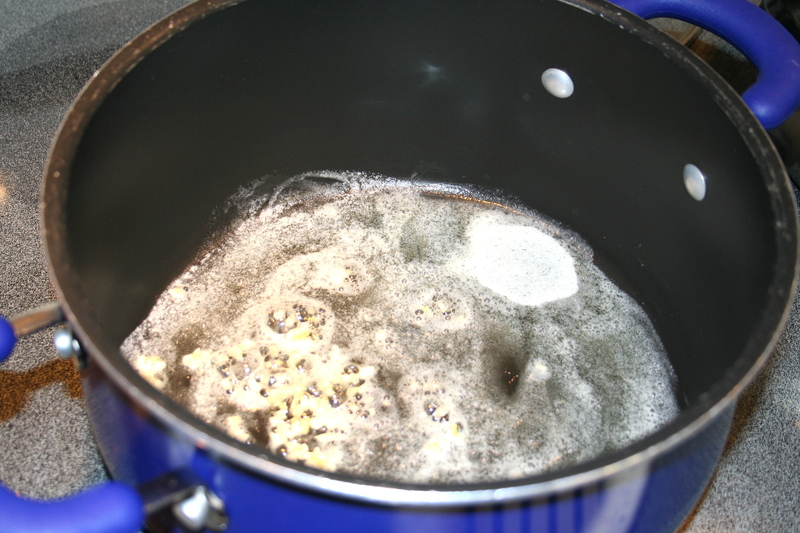 Increase heat to high cooking and stirring until it is bubbly and thickened. 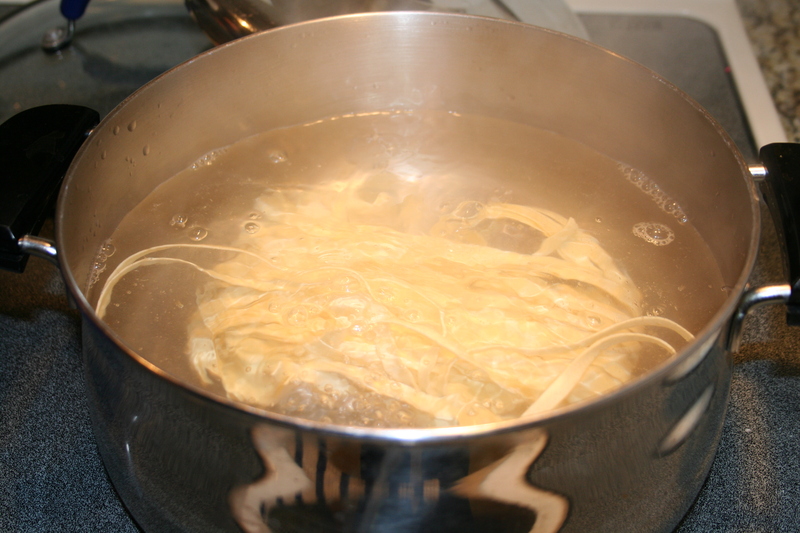 In a separate pot, cook/heat the fettuccine in boiling water until tender. 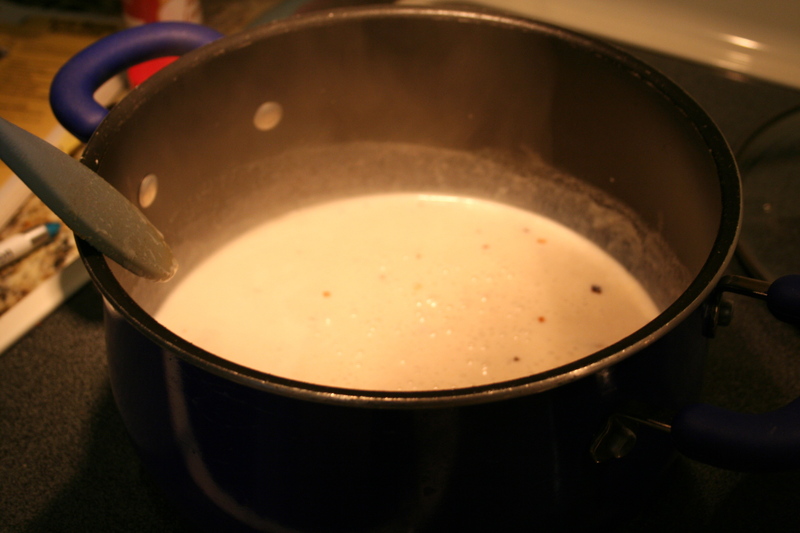 Reduce heat to low and stir in the parmesan cheese, cream cheese, nutmeg and pepper. Stir until cheese is melted. 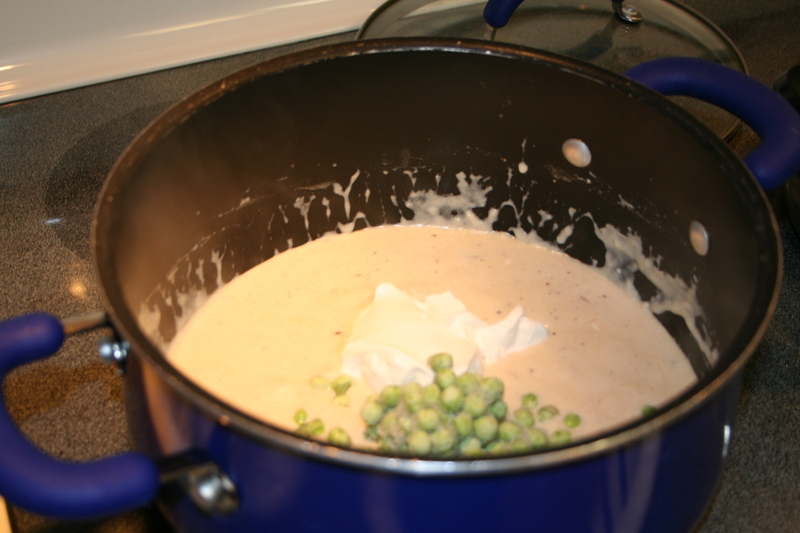 Then add sour cream and peas and cook until heated. Rinse the fettuccine and return to the pot. Add the sauce to the fettuccine and mix together. Sprinkle with fresh parsley and serve with a caesar salad and fresh bread!